Intermittent fasting is a bit different than the more traditional fasts that we are used to hearing or reading about. Instead of fasting for days at a time you only fast for 24 hours and then you eat a normal meal. In reality you are only skipping two meals and any snacks in between. I have found intermittent style fasting to be an easy way to “diet” without all of the restrictions that come with normal dieting techniques. The best part of all, is that you can actually get away with eating nachos, pizza, pasta and more (within reason) and still lose weight. Here are just some of the reasons intermittent fasting for weight loss works. In fact, these are the topics for eight pages in the Eat Stop Eat book. Decreased Insulin Levels & Increased Insulin Sensitivity. When your insulin levels are high, you gain weight, or you are at least more prone to gain weight. 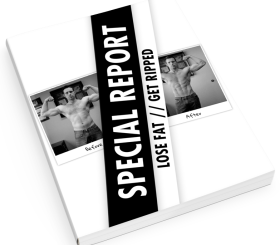 Increased Lipolysis and Fat Burning. Lipolysis basically means break down of fat. In other words, your body uses fat as it’s energy. Increased Glucagon Levels. Glucagon is a hormone produced by the pancreas that opposes the action of insulin by stimulating the production of sugar. Increased Epinephrine and Norepinephrine levels. Epinephrine stimulates the breakdown of stored fat and of glycogen in active muscles to use as fuel. Increased Growth Hormone Levels. HGH (Human Growth Hormone) decreases the use of glucose and increases the use of fat used for fuel. 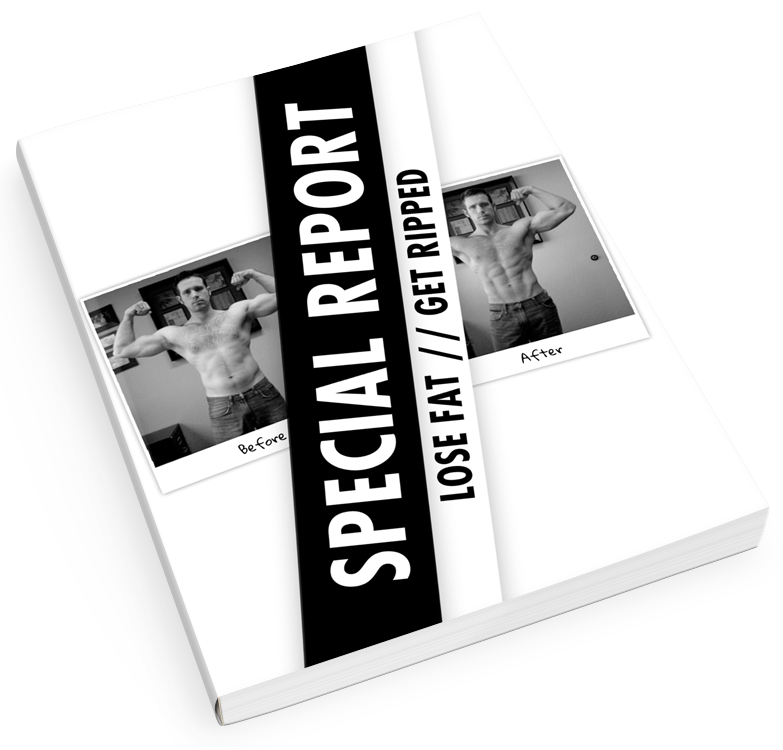 Increased Weight Loss and Increased Fat Loss. Pretty self explanatory. What I found to be the most interesting about this is that these are typically symptoms of working out. That means that during your fast, you body is reacting much like it would while you are working out except for a much longer period. Checkout this quick video for more info on fasting and exercise. 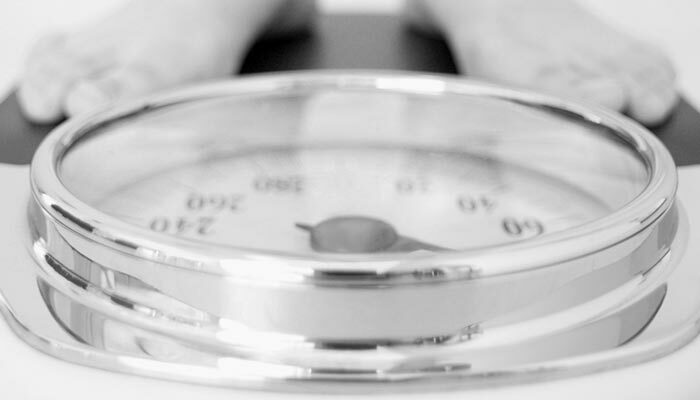 Intermittent Fasting For Weight Loss – What To Expect? An important thing to remember is that you should not overdue it. You are fasting to lose weight, you are not to starving yourself. The author, Brad Pilon, suggests fasting once or twice a week. I like to work in one day a week using this technique. During this 24 hour fast you will be amazed at how easy it is, seriously. Not only is it easier than you would think, you realize that much of your eating is more habit driven than hunger driven. When using intermittent fasting to lose weight, you can eat a much more lenient diet than you can on most traditional low calorie, low fat or low carb diets. By fasting twice a week and then eating a normal size meal of 600-1,000 calories you will reduce your caloric intake by about 10-20%. You don’t want to pig out at the end of the day, but you are free to eat a “normal” meal. Will I lose All Of My Hard Earned Muscle By Fasting? You will not. I would, however recommend incorporating a few resistance training days into the week. These workouts can include weight training, resistance bands, body weight exercises and more. In fact, whether you are fasting to lose weight or simply on a low calorie diet, you need to be doing some type of resistance training. By doing so you are telling your body that you need the muscle it has and not to burn it for energy, but rather to burn your fat. Should You Fast All The Time? Eat Stop Eat works within it’s designed parameters. Our bodies can handle these types of low calorie days once in a while, as in 1-2 times a week, without a negative affect on our metabolism. In fact, this type of fasting can actually boost your metabolism. 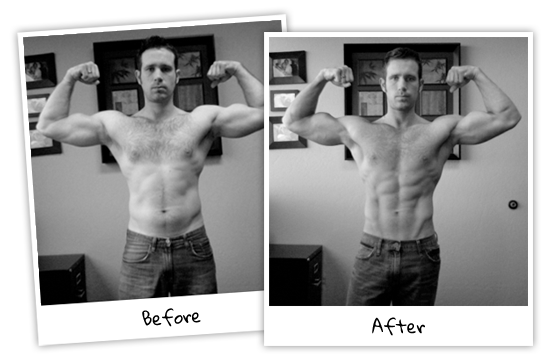 To learn more, you can checkout Eat Stop Eat review and see the kind of results I’ve been able to get from it. I am definitely not endorsing or encouraging any type of eating disorder. Fasting too much as a bad thing, intermittent fasting to lose weight 1-2 times a week is a good thing. You are preaching to the choir here, my friend. I have been fasting for around a year now and absolutely love it. I went from 201 January 1, 2010 to 165 lbs, which I have maintained since around October. I am 42 and proof that you don’t have to get fatter each year. If anyone hasn’t tried eat-stop-eat and are on the fence, try it! Your days of failed diets will be over for good. Kelly – that’s awesome man, good work! It really is a pretty awesome diet plan – much more practical than I ever really thought it would be. I’m with Kelly, fasting rocks! I was a long way into my weight loss efforts before I discovered Eat Stop Eat though. I was worried about all the traditional arguments/dogma you often hear about losing muscle and slowing metabolism, but after reading ESE I was positively excited. It turned out to be just the answer I was looking for. Exactly – until I read up on intermittent fasting and tested it out I really thought that my metabolism would just stop! Can you have coffee or green tea while fasting? Or just water only? As far as IF for weight loss goes, yes caffeine is fine since it doesn’t spike up your insulin levels and take you out of a fasted state. I drink coffee on my fast days and it works fine for me. You will want to drink only black coffee, and unsweetened tea (no honey or anything else added). I would still recommend drinking a good amount of water to help your body flush out it’s toxins. I know that it can be harmful, but what about a little splenda in tea? I’m one that loves food to much! I DO NOT eat a lot but the things I do eat are not so good for you. I’m thinking that this 24 hour fasting may be good for me though. It may make it so that I don’t need that “not so good” food because lets face it, 24 hours without eating may make ANYTHING look good! haha! Good point. My only caution would be to not let the fast serve as an excuse to overeat or eat poorly on purpose. It works best by eating a “normal/healthy” meal after your fast so that the total calories for the day remain very low. I totally agree, in fact, I don’t recommend fasting for more than 24 hours at a time. The hormonal benefits are at their peek at 24 hours (16-24 are when they’re most amplified) but after that they start to die off. So im thinking to start the fasting thing! Even though i havent read ESE, so how does it work basically just go through a whole day without eating anything but only drinking water right? and i shouldnt do any mild work out? So its best if i fast on my rest day right? Thanks for the help much appreciated. Yeah, that’s the basic idea. You can have any non-calorie drink like plain tea and/or black coffee as well. Actually, you can workout on a fast day too. I’m very happy to have come across this information. As a body builder and fitness instructor for over 30 years, one of my favorite and most effective diet regimens was a two week high calorie diet followed by a two week extremely low calorie diet. The idea being that such extremes in your caloric intake caused profound hormonal changes because your body was having to compensate for the stress being placed on it. I can see where a combination of fasting and eating would logically create the same hormonal response, especially growth hormone, as the body is tricked into believing it needs it. I’m bookmarking this site to study further… thanks for the info! Awesome George, I’m glad you stopped by and left the comment! I too have played around with high calorie weeks alternated by low calorie weeks. For me, Eat Stop Eat is a great way to eat more on the weekends with your friends and still lose or maintain weight throughout the year. This is a wonderful idea! I’m a big eater. I’ve decided lately to lower down the amount of carbo I take in at first and get my body used to taking in only the needed amount of food. After reading this, I wonder if it was a good a idea to lower down calorie intake gradually or maybe the abrupt change for a day is the key to fooling the body. I think that just depends on the person. Me personally, I like the cold-turkey approach. I’ve found that you do need to adjust to eating less … fasting or not. Once your body adapts, which can be as quick as 2 or 3 days, it gets MUCH easier to diet. I have more than a few pounds to lose. Approximately 40 pounds. Would this type of diet work for me? I am at the stage that I know I have to get this weight off, so I am looking for a diet that will without question, help me. I’ve got a few friends who’ve lost more than that following the Eat Stop Eat diet. It’s awesome because it’s simple and works. I recently wrote an Eat Stop Eat review if you want to read a little more about it. I recently started every other day fasting but the way I do it is I allow myself to eat anything during the first 24 hours, none the second, etc. etc. As opposed to a “smal meal” I would say I eat about 2000 calories on eating days. Is this going to work at all or am I doing it wrong? That should work … Brad doesn’t recommend more than 2 fasting days per week in his book because that could a bit hard to maintain long-term. What I really like about ESE is that isn’t a crash course diet so try not to burn yourself out. Again, I’m no doctor but I would say that’s fine; just pay attention to your body and how you’re feeling. The main goal is to create a calorie deficit over the course of the week so you’re good there. I’ve been fasting one day per week for several months now, and I sometimes miss breakfast on one or two other days too. There was a time I would never have done this, but it’s a commonsense way of reducing your weekly calorie intake, and it saves you time too. I look forward to my fasting day now. I use to work out religiously two years ago and stopped (but maintained a pretty healthy diet) and recently (about a week ago) started back at the gym everyday doing both cardio and weights, and planned to continue. The reason I stopped is I was never able to drop those last couple inches/pounds. I am extremely eager to try this method and am wondering if this is something I can start right away in my training, or should wait, say a month, to begin? Thoughts? As far as you implementing the intermittent fasting, go for it. Give it a shot and see how you like it. Some love it, while others seem to struggle with it. If you’re having trouble shedding those last few pounds even after sticking with a good diet and routine then I’d have to suggest upping your cardio a little. I know for me, I’ve struggled to lose those infamous last 10 lbs – even though I thought I only needed to lose 5 to get where I wanted. But by upping my cardio frequency and routine (I ended up following Visual Impact Cardio) I was able to get some pretty good results. Checkout question #7 in this interview with Rusty Moore to see his suggestions … definitely worth doing. Hey, I love your posts. I need some help. I have just hit 80kg from 68kg (I’m 5ft 10in) – my initial goal was to gain size and mass. Now I’d like to start gaining weight on my lower body (since I have focused more on upper body) but also burn as much fat in my stomach (now it looks ‘fatter’ but that is just some gained muscle underneath). So basically to get a six pack and bigger legs. I currently eat 6 meals a day every day and train on Monday, Wednesday, friday. On what days should I eat less (or a need in change of number of meals a day)? and can you also recommend me (or refer me to a page of yours) what exercises I need to be doing to achieving my new goals.? I’ve been trying to fast once a week for a few weeks. The first few weeks, I could only make it until 10AM and then I had to eat. But today, I tried it again and made it all the way until I was supposed to eat! I just drank green tea sweetened with stevia at my normal meal times, and had a ton of water in between whenever I started to feel even a tiny bit hungry. I actually wasn’t that hungry, with all the tea and water I was drinking. I was so surprised at how much energy I had! I did a 40 minute workout this morning, and then took my dog for an hour long walk later in the afternoon. That’s awesome, I’m glad you stuck with it and made it work for you! I’ve IF’d for years and years. For newbies, I wouldn’t try exercising on IF days and/or try IF for the 1st time when switching over to a low-carb diet. IF + HFLC = fast weight loss, and very enjoyable. After your first IF, a salad will taste as yummy as a pizza. Lots of water, green (unsweetened tea), black coffee, etc. There’s no reason it shouldn’t. Just give it a shot and see how you like it. Hi I’m like 10st 5 and 5.9 I’m ok withy weight but can’t seem to shift those 5 pounds I want to try this 24 hour fast but my job means I’m on my feet all day I’m worried il flake out at work? Will I get through a day with no food? That makes sense though but my problem is I do not want to loose much of the weight from all over my body, I am 5’11” and weigh around 168 pounds, which is pretty decent weight. I have a decent physique the only problem is my belly where i have a bit extra fat and side flabs. Is there any way by which I can target on the specific area and not loose from other part of the body? I totally love your site, it has clarified so many misconception is had for so many years. Anis, unfortunately … no. You can’t spot reduce like that. Another bummer is that (in general) the first place you gain weight is the last place you lose. Just focus on working your muscles to maintain lean body mass and let the fat go. This is my 9th day on IF and i love it ! I have not had a bad day not once. My energy level has been great. I use the 16-20 hours fast then I eat within the 6-8 hour window. I drink water all day and night . When i tried other low carb diets i would get a headache and stop the diet. My body and my mind has adjusted to IF. I stumbled across your site and I love the information that I find here on IF. Awesome Jaine! I’ve been experimenting with the 8 hour feeding window too and am also loving it. Glad you’re finding success with it. What would be a good sensible dinner after a 24hr fast? I was thinking steamed asparagus grilled chicken and brown rice? I have been dabbling with fasting for some time now and always have decent results. I am just about to start up a 2 month burst of Alternate Day Fasting – the plan being Mon/Wed/Fri are fasting days and Tues/Thu/Sat I can eat anything I want (within reason, not over 2000 calories). Sunday will be a low calorie day but neither fasting nor normal calorie intake – somewhere in between. I am active at work all day and walk with my dog often. I have a final 12-14lbs to lose and it is incredibly stubborn at this point. Hope this works. 🙂 My target is reaching goal weight by end of August. I have set a goal for myself to lose 100lbs. and I was doing great for the first 2 and a half months. I actually lose nearly 50 lbs. But now I’m stuck for the last 3-4 weeks, I don’t seem to be able to break this stupid frustrating level. I saw your site and got excited again. I am going to give it a go. Hope this will work for me! I totally enjoyed reading this post and all the comments,very informative…..My favorite part is when you explained all of the hormonal changes that encourage fat loss.I like to drink tea in the morning on my fast days(only in the morning,I drink water for the rest of the day),I have it with two teaspoons of sugar and a bit of milk..I know it has some calories but I can’t have it any other way,Its just too bitter without milk!! !Is there a specific number of calories that get you out of the fasted state,and am I jeopardizing some of the fasting benefits? Hello, this is my first time ever writing a comment under a blog of this kind or any kind for a matter of fact…. How I learned about intermittent fasting was when I was on YouTube and I saw a video on it, then I started to look it up on google, I didn’t want to just start doing something just because I watched a few videos on YouTube, and my mother she has a nursing background so I took up the matter with her and she did further searching concerning IF, and I started it about a week ago, I fast for 24 hours and then when 7pm comes around I eat a regular medium plate of whatever my mother makes….. And I have not felt this great in a long time, I have been able to breath better, I am able to move around better, I have more energy… Of course when Christmas came around and the day came that we all had to come together for Christmas dinner, I had to eat with everyone and it was way before my time to eat, and I could tell the difference in how I felt, I didn’t feel so good after I ate all that food….. So far I have lost maybe 12 pounds since I started this, I am 31 and in a wheel chair and I am over 200 pounds over weight, and I am 4’7 feet tall, not very tall….. So I am vey happy I have found this new way of eating…. I can not wait to lose all this extra weight that is on me. I like the IF or ESE diet too. It seems to good to be true, but I can stick to the 24 hr fast 2 days a week easily as long as it’s spread out a couple days. I definitely ate out of habit more than hunger, but now I can differentiate the two, without feeling deprived at all! It’s also good because you can make it work with whatever is best for you, 8 hr, 12hr, 18hr, or 24hr. It’s a no brainer for me!